David Jones is brewing up some seriously hot bargains with its selection of coffee makers, offering up to 60% off many small appliances. DeLonghi, Breville and Jura are among some of the brands to serve shoppers with huge discounts this Black Friday. Here are the top three Black Friday deals we think coffee lovers might want to drink up before it’s too late. 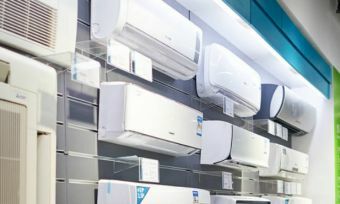 But don’t forget to compare these products and prices with other brands and stores to make sure you’re getting the best value this holiday season. Ever wanted to buy your own coffee maker? 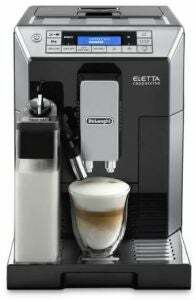 You can save almost $1000 on your dream caffeine-related purchase with the DeLonghi Eletta automatic coffee machine. 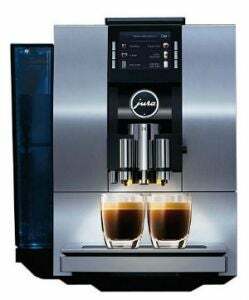 The stainless steel appliance uses the brand’s LatteCrema System, which is designed to add a ‘dense and creamy froth’ as well as a ‘silky smooth texture’ to every cup. The DeLonghi item also apparently contains ‘bean to cup technology’ to ensure your milk based drink produces the right density, colour and taste to suit you. Before you get back to the grind, consider skipping the cheap drive-thru coffee and create your own quick pick-me-up with Breville’s Barista Express Espresso Machine. The brand claims the appliance can turn beans to espresso in less than a minute, and allows you to switch between automatic or manual operation. 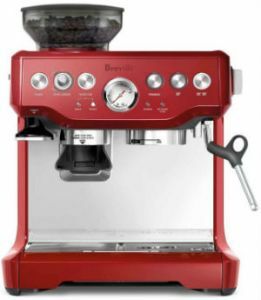 The Breville Barista Express contains an integrated conical burr grinder, which is said to tailor the amount of ground coffee poured into the portafilter according to your preferences. It similarly includes digital temperature control to produce water at a temperate the company says ensures ‘optimal espresso extraction’. If you love grabbing a coffee at you local cafe but can’t stand waiting in line, the Jura Z6 Fully Automatic Coffee Machine might be the closest you’ll get to an at-home barista. And the brand claims it only takes a couple of steps to make the perfect brew. For flavour, the machine is said to use a Pulse Extraction Process to prepare a variety of drinks according to your preferences. The small appliance is also apparently designed to automatically switch between milk and milk foam with the touch of a single button.